Arundo provides an inventive highest-quality workspace, carefully designed and easy to use. 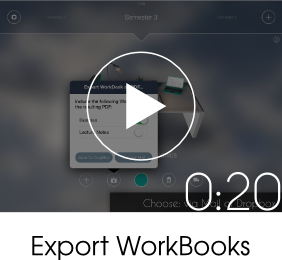 As an additional unique feature Arundo offers awesome modules (browser, mind maps, calculator, side notes, flashcards) to use side by side with the workbook. Innovative: With Arundo's special ConnectionManager you can even link connected information! 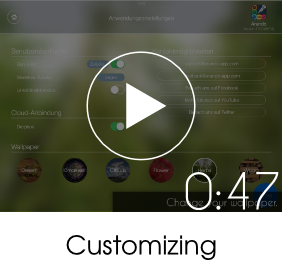 The ConnectionManager is the heart of Arundo. 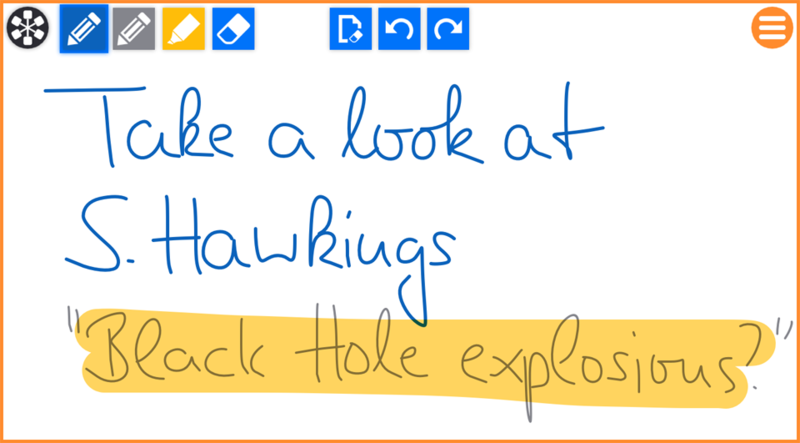 We introduce this content management tool to the world of handwriting apps for you to be able to link and quickly access related content. 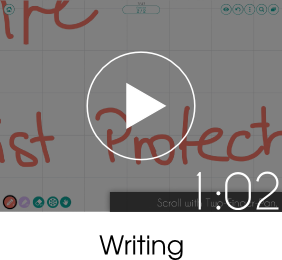 It's an awesome way to remember attached material and gather information about a certain topic. The symbol, which looks a bit like a reel, resembles a ConnectionPin. It appears at several places within Arundo and always means that you have the possibility to access the ConnectionManager. By clicking on the Pin you can easily create links to any other ConnectionPin (or more than one!). 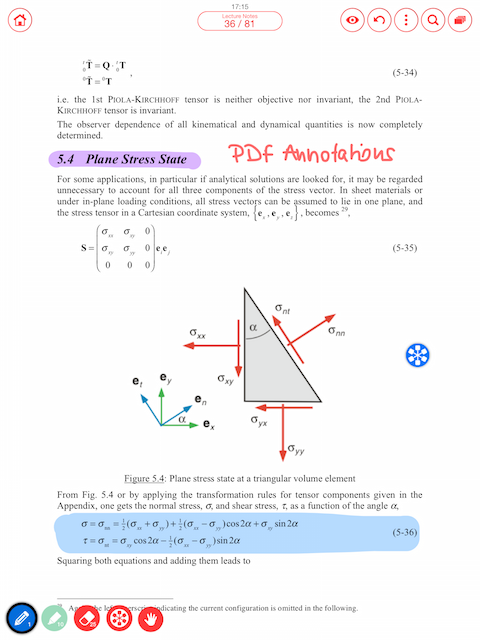 Handwriting, Annotating PDF, Creating extensive writings – that's what WorkBooks are made for. With our tools you can do it in a fun and comfortable way. Among them: wrist protection, undo & redo, our unique swipe menu and auto-scroll mode. 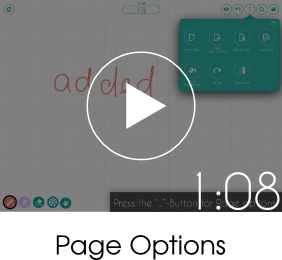 There is also a tool for creating ConnectionPins at any spot on the WorkBook pages! 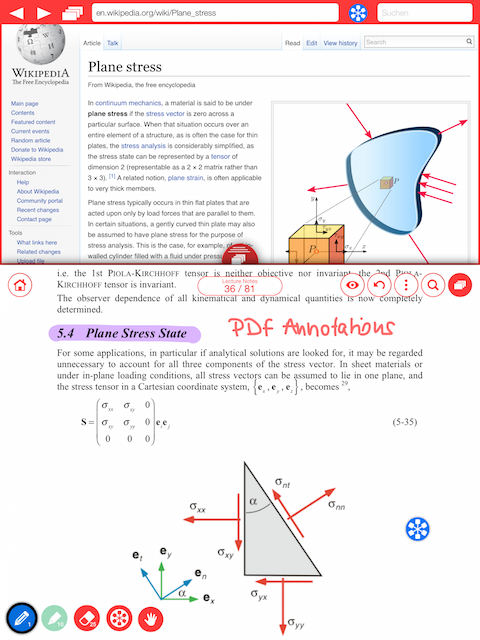 The Browser is useful, even more so when viewed side by side with the WorkBook page. 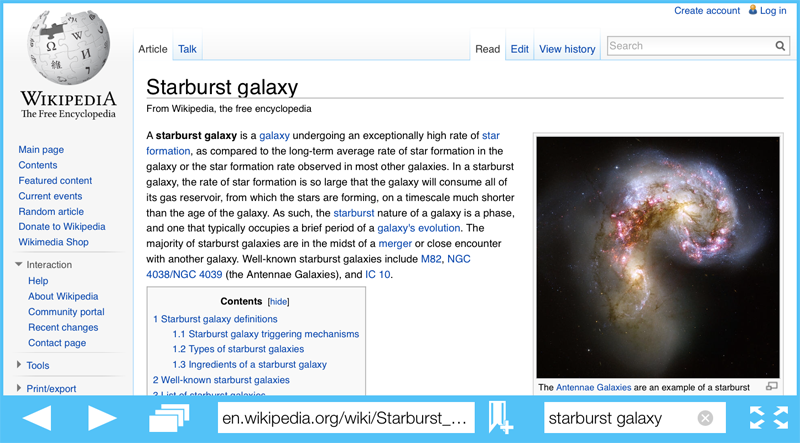 Multiple tabs, bookmarks, history and full-screen view are included as well. 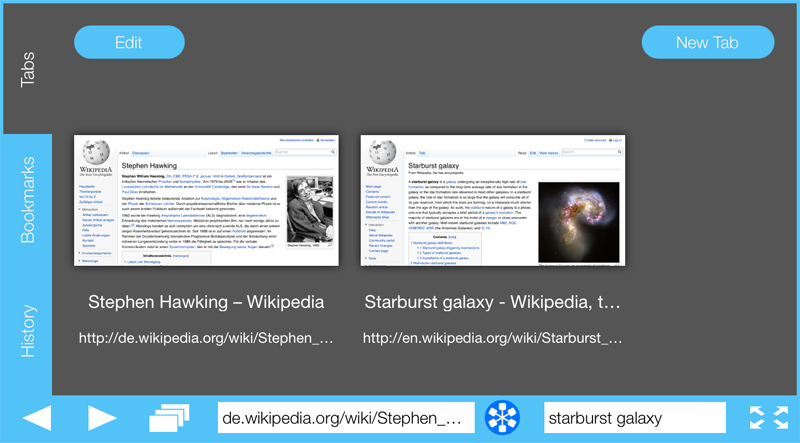 Website bookmarks can be linked to any other ConnectionPin. By this you can make perfect use of the powerful ConnectionManager. Square root, logarithm, sine and pi are familiar friends to you that stop by now and then? 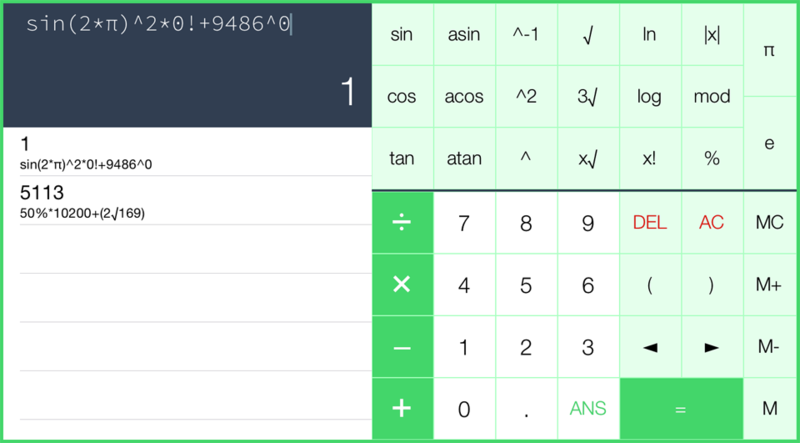 The Calculator module offers a scientific calculator with memory function, factorial, modulo a.s.o. 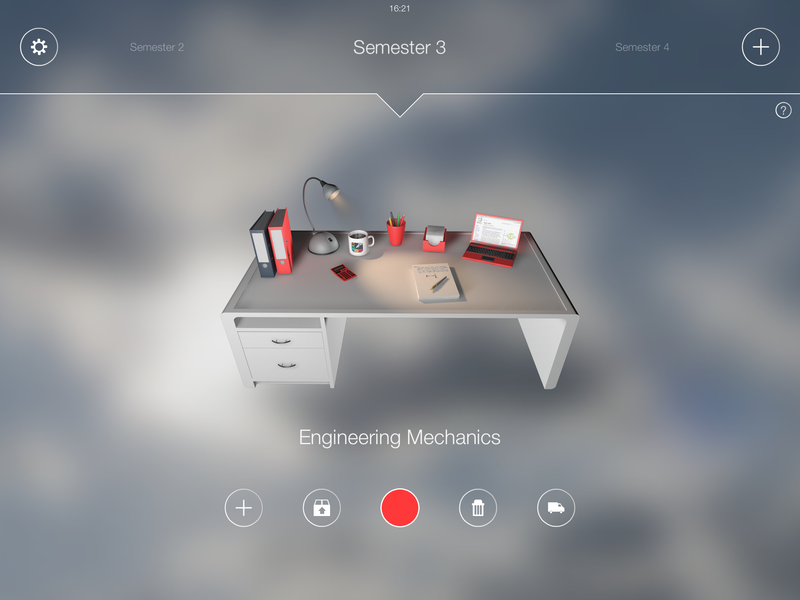 Studying for an exam? Learning vocabulary or definitions? Flashcards are awesome. 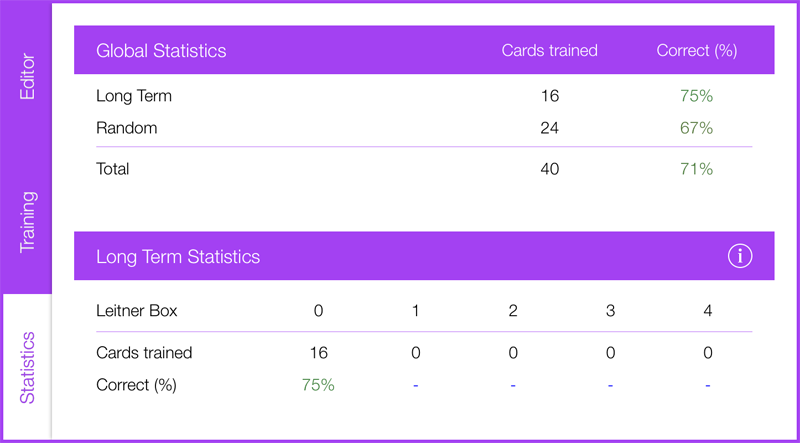 The FlashCards module includes two query modes (longterm and random), query statistics and the flashcard editor. With the MindMaps module you create mind maps, set different colors for your nodes and label the relationships inbetween nodes. Each node can be linked with other parts of Arundo using the included ConnectionManager. You are a fan of beautiful manuscripts and neat documents? 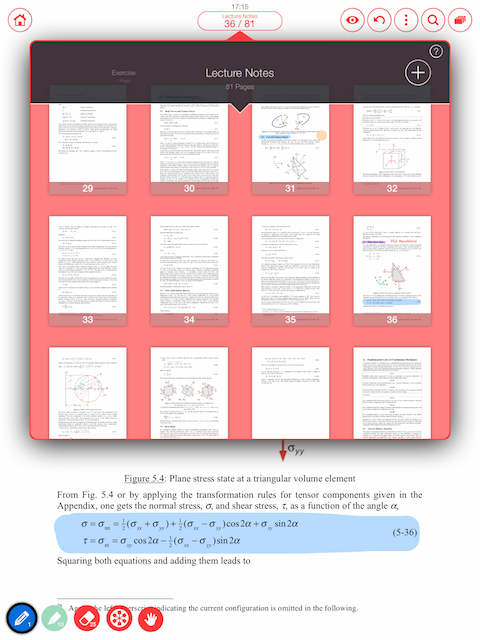 Then you'll love the Notes module. Besides being a normal note pad it's awesome for taking side notes. Use the ConnectionManager to attach notes to parts of your WorkBooks without interfering with their clarity. 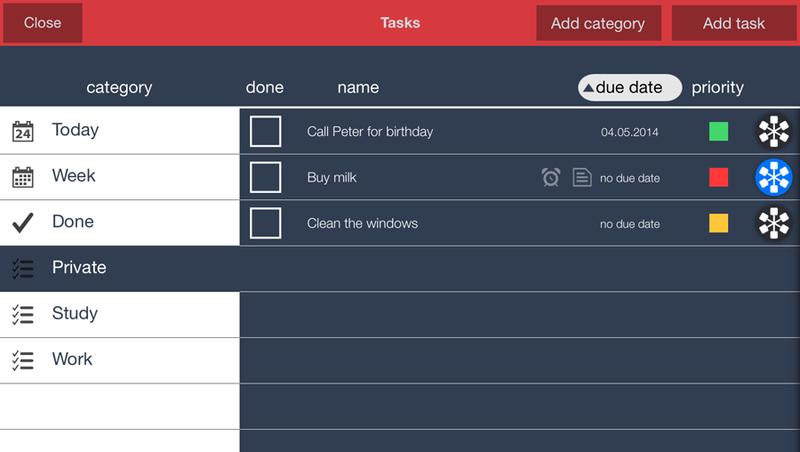 The Tasks module helps remembering what should get done and when. 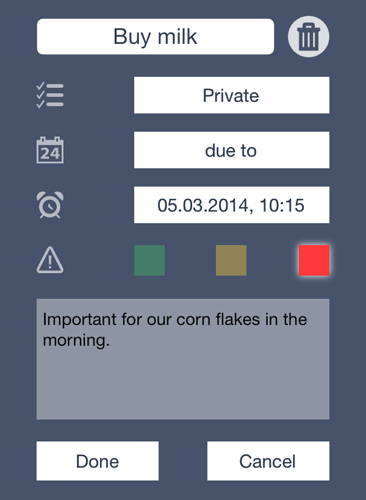 Categories, reminders, priorities and due-dates are included and a clear structure let you keep track of your todos. You can even link tasks directly to corresponding content using the ConnectionManager. 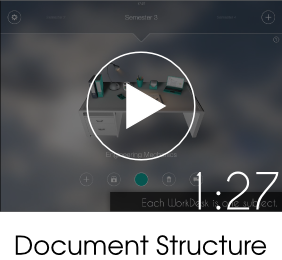 The color you set for your WorkDesk will also appear as the color of the modules within the WorkDesk view. 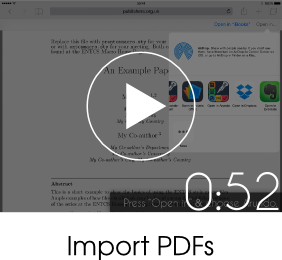 Import PDF via Dropbox and mail, afterwards annotate it as you like. Arundo's unique swipe menu is as fast as it gets when it comes to selecting the pen size and color you want. It combines most intuitive handling with configurable presets, all within the blink of an eye. 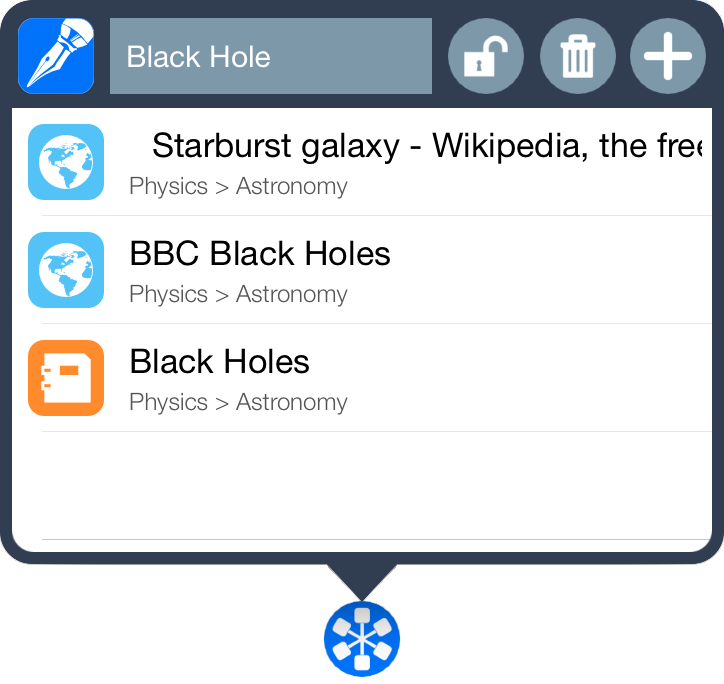 The Browser module can handle multiple tabs and also offers bookmarks and a website history. The MindMaps module allows you to label not only the nodes but also the relationships between nodes. 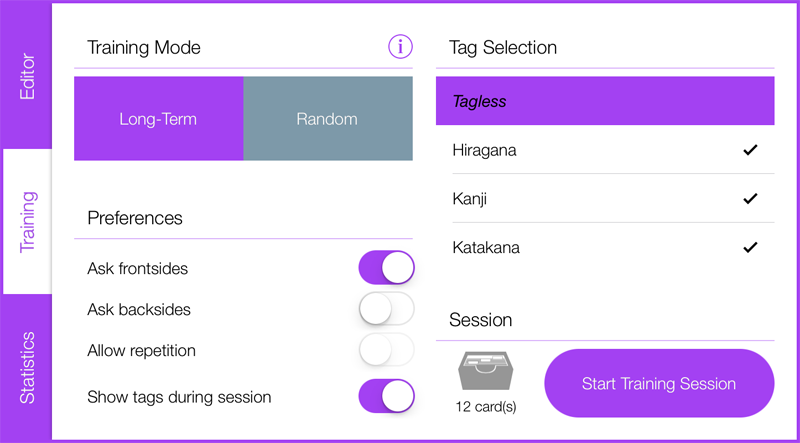 Besides the "all random" training mode the FlashCards module also offers a long-term mode. 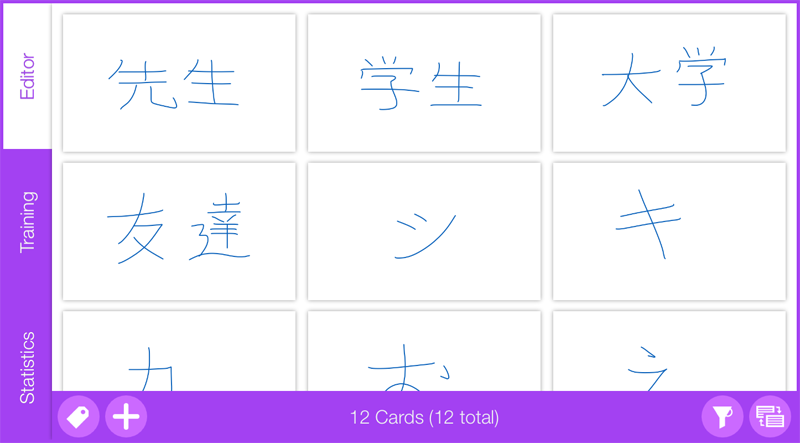 It gives daily suggestions for cards that should be repeated and follows a well-known approach to gain long-term memory knowledge. 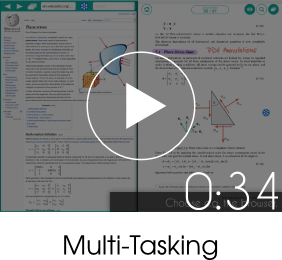 Each module except for Tasks can be viewed side by side with a WorkBook. 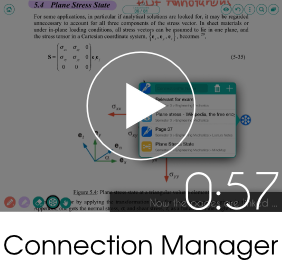 Use the ConnectionManager with the Notes module and easily attach side notes to your script while maintaining the clarity of your written contents. Found a website that relates to your written content? 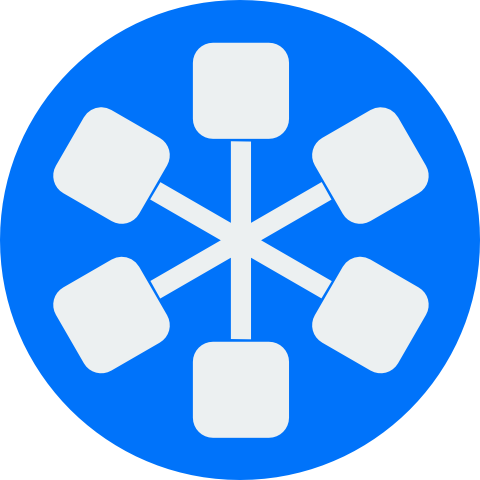 Simply bookmark it and use the ConnectionManager to link it to any part of your WorkBook. 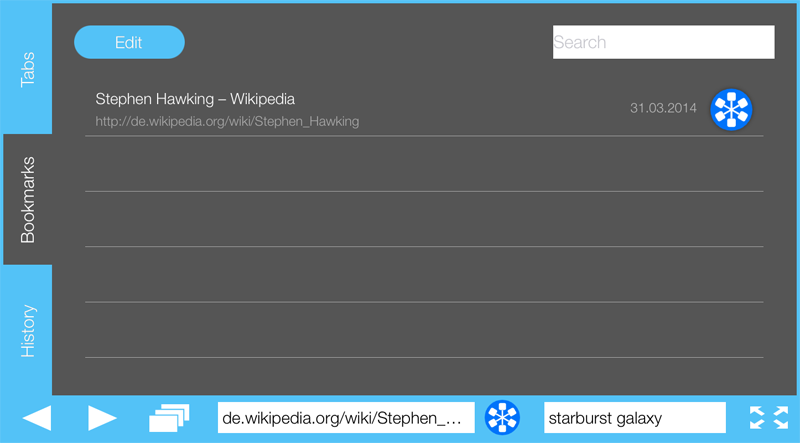 Basically, you can link ConnectionPins of any section (whether it's a part of your writings, mind-map node*, open task*, website bookmark*, side note or flashcard*) with any other you wish.